U.S. Immigration Citizenship and Immigration Services (USCIS) agents have expressed strong concerns over House Judiciary Committee chairman Rep. Bob Goodlatte (R-VA) and other Representatives pushing for immigration legislation that would legalize the status of America’s at least 11 million illegal immigrants. 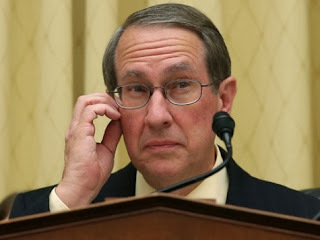 In a public statement that will be released Thursday morning but has been provided exclusively to Breitbart News ahead of its public release, USCIS Council president Kenneth Palinkas warned that Goodlatte (pictured), House Budget Committee chairman Rep. Paul Ryan (R-VA), House Majority Leader Rep. Eric Cantor (R-VA), and Rep. Luis Gutierrez (D-IL) seem to be following the same pathway that Senate “Gang of Eight” members did, regarding how they are working on immigration legislation. “At every step, this administration places obstacles and roadblocks in front of our adjudication officers in their attempts to protect our nation’s security and the American taxpayer,” Palinkas said. “I documented these abuses on more than one occasion with the authors of Schumer-Rubio-Corker-Hoeven [S. 744] only to have them ignored. Palinkas warned, too, that any group of “step-by-step” House immigration bills may be used as a tool by congressional leaders to get to a conference committee, at which point they would be combined with the Senate bill and sent to the president for his signature, and illegal immigrants would start getting amnesty. That is exactly what House Minority Leader Nancy Pelosi, Gang of Eight members Sens. Bob Menendez (D-NJ) and Chuck Schumer (D-NY), Senate Majority Leader Harry Reid, and some Republicans have said they want to do.